France: Marine Le Pen leads polling among 18-24-year-olds with 33% in the first round of presidential voting — her largest support from any age group. The Netherlands: Support for Geert Wilders' Party for Freedom among 18-25-year-olds has increased from 7% in 2006 to 27% in 2016. Germany: Alternative for Germany's supporters are second-youngest among the country's parties. How it happens: As unemployment rates peak across Europe and the migrant crisis continues, young people, especially men, are increasingly fed up with the European Union and establishment leaders that they believe allowed conditions to deteriorate. Migrants and refugees have provoked an "us vs. them" mentality amongst disaffected European millennials as they witness their nations welcome outsiders while their own prospects remain stagnant. And right-wing populist parties are generally willing to entertain more socially liberal views to make themselves more palatable to younger voters, often using them to enhance their own message. 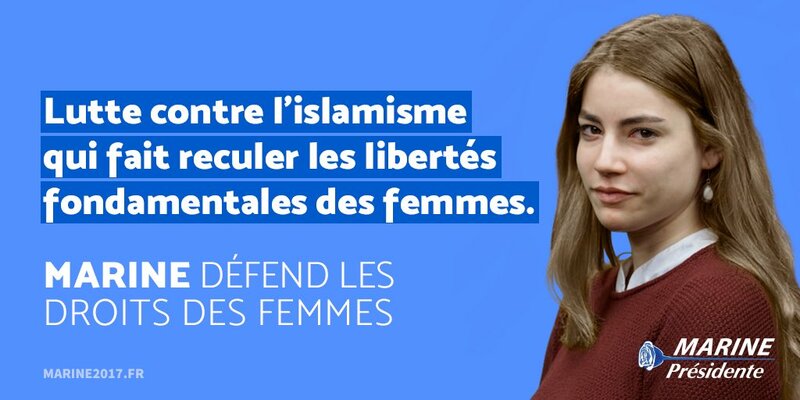 A recent campaign sign from the National Front paints Marine Le Pen as a defender of women's rights — but with a twist — proclaiming that they're currently under attack from Islam. The National Front has also worked to court LGBT voters, painting immigrants and refugees as religiously fundamentalist outsiders who won't accept their lifestyle. Geert Wilders has done the same in the Netherlands, saying, "The freedom that gay people should have…is exactly what Islam is fighting against." The figurehead: Imagine a younger, blonder, more staunchly conservative version of Marine Le Pen. Well, she exists — and she's Le Pen's niece. 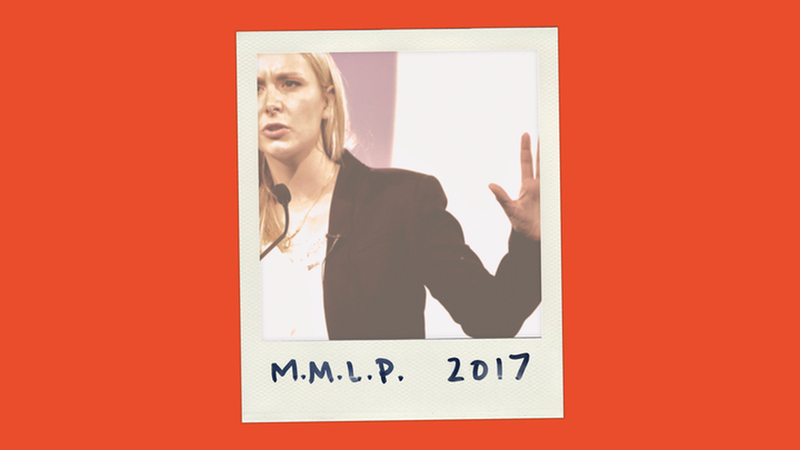 Just 27, Marion Maréchal-Le Pen has been a member of the French Parliament from the south of France for 5 years. She's Sarah Palin's "political crush," and Steve Bannon called her a "rising star." As one young supporter told the Christian Science Monitor in 2015, "Her youth motivates us, she represents us. The rest of the political class has forgotten us." But her political positions have raised more eyebrows than her age, as she's been willing to go farther than her aunt on social issues, campaigning publicly against France's legalization of gay marriage (the elder Le Pen stayed on the sidelines) and stating that France should end "the full and unlimited reimbursement of abortion." Of course, they'll always agree on some things, like Marion's proclamation that Muslims could only be French "if they follow customs and a lifestyle that has been shaped by Greek and Roman influence and 16 centuries of Christianity." The tests will come soon across Europe. The Netherlands holds its election this Wednesday. And France's two rounds of presidential voting come in late April and early May.